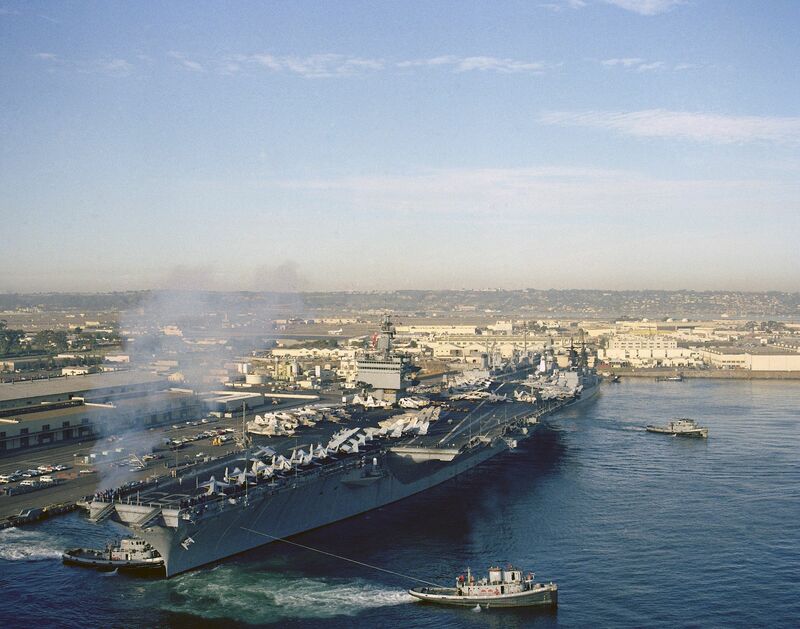 101k Aerial view of Manistee (YTB-782) (left), Canonchet (YTB 823) (background) and Arawak (YTM 702) (foreground) assisting USS Enterprise (CVN-65) away from the pier at San Diego, CA., 15 January 1984. 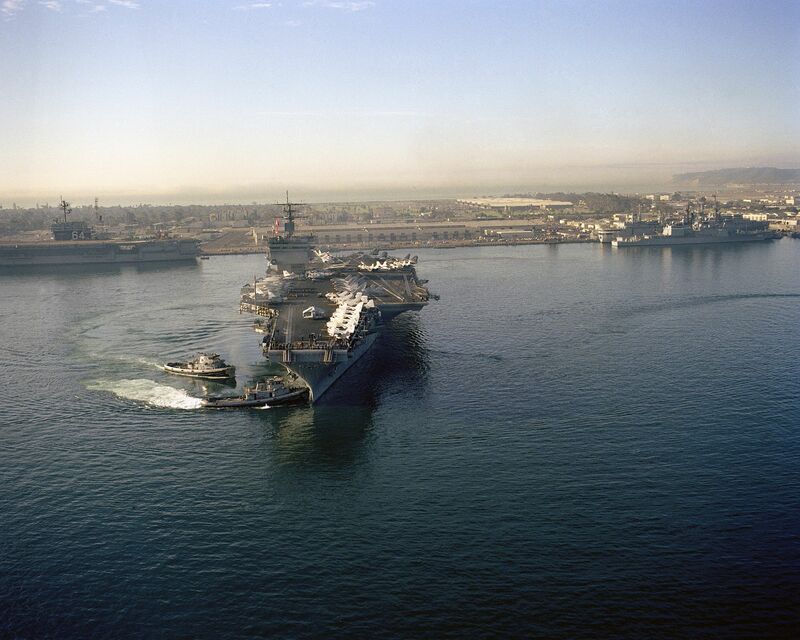 99k Aerial view of Manistee (YTB-782) and Canonchet (YTB 823) assisting USS Enterprise (CVN-65) away from the pier at San Diego, CA., 15 January 1984. Note Constellation CV-64) in the background along with an unidentified destroyer alongside USS Samuel Gompers (AD-37). 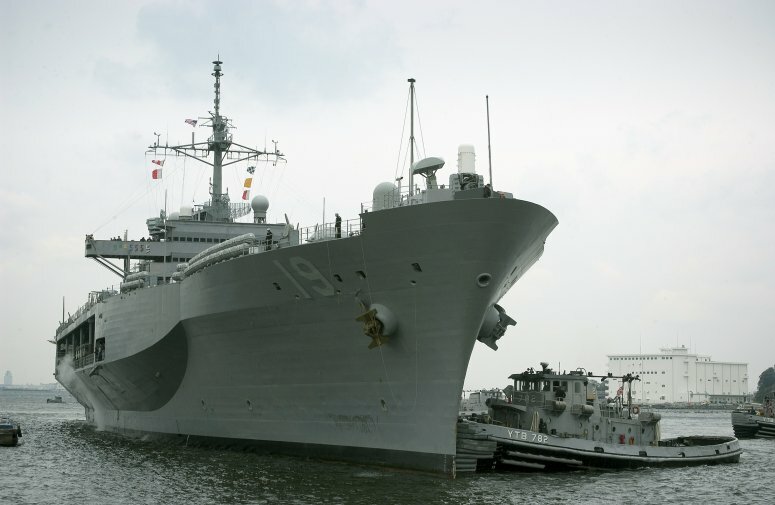 55k Manistee (YTB-782) assists USS Blue Ridge (LCC-19) into her berth at Commander Fleet Activities Yokosuka, Japan (CFAY), 4 April 2005, after her longest scheduled Western Pacific deployment since 11 September 2001. 154k Manistee (YTB-782) prepares to go alongside USS Vincennes (CG-49) as the cruiser prepares to get underway from , Commander Fleet Activities Yokosuka, Japan (CFAY), 8 February 2005..
72k Manistee (YTB-782) pulls alongside USS Vincennes (CG-49) as the Guided Missile Cruiser prepares to get underway from Commander Fleet Activities Yokosuka, Japan (CFAY), 8 February 2005. 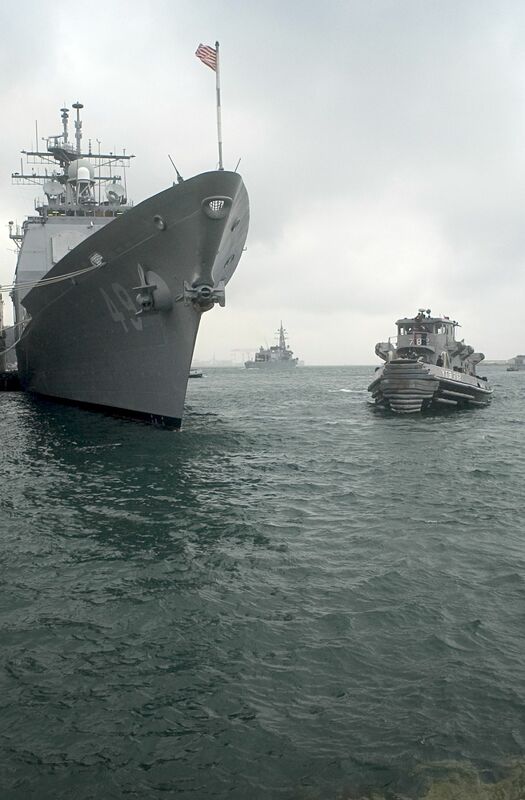 58k Manistee (YTB-782) comes alongside USS Lassen (DDG-82) to assist the Guided Missile Destroyer into her berth at her new homeport Commander Fleet Activities Yokosuka, Japan (CFAY), 2 September 2005. 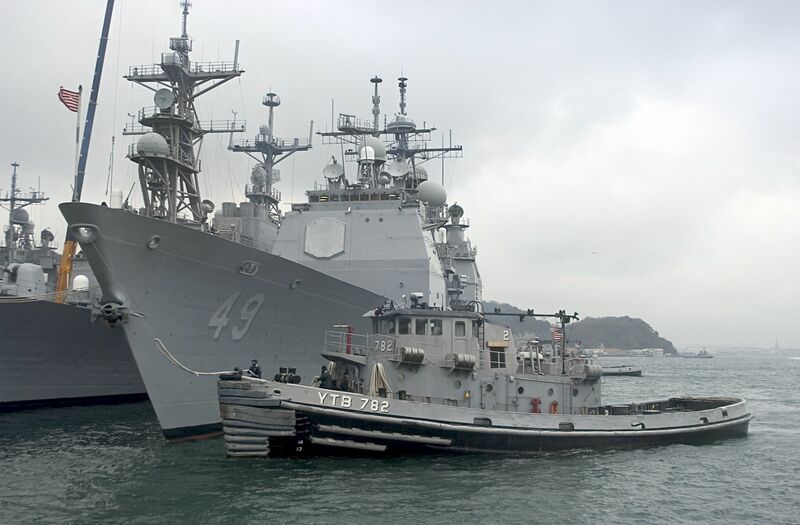 249k Manistee (YTB-782) comes alongside USS Curtis Wilbur (DDG-54) to assist the Guided Missile Destroyer into her berth at her new homeport Commander Fleet Activities Yokosuka, Japan (CFAY), 13 January 2006. 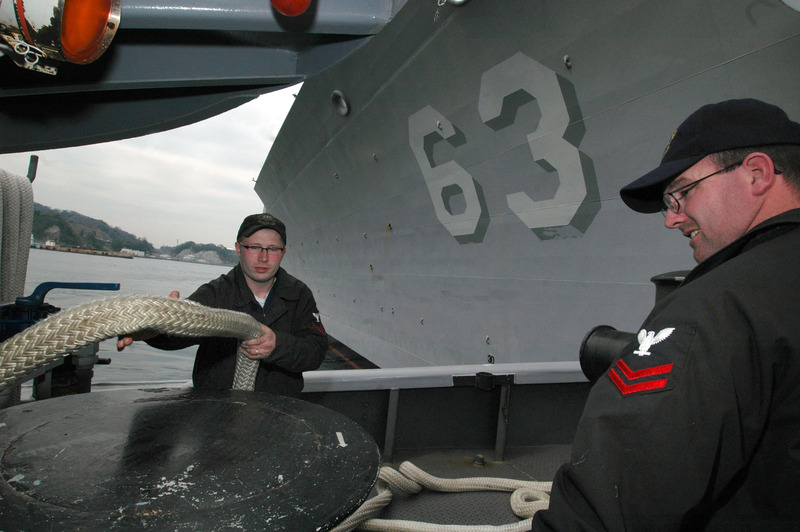 66k EN1 Kristopher Brown and BM2 Andrew Welch haul in lines as Manistee (YTB 782) prepares to assist USS Cowpens (CG-63) in getting under way, at Commander Fleet Activities Yokosuka, Japan (CFAY), 23 March 2006. 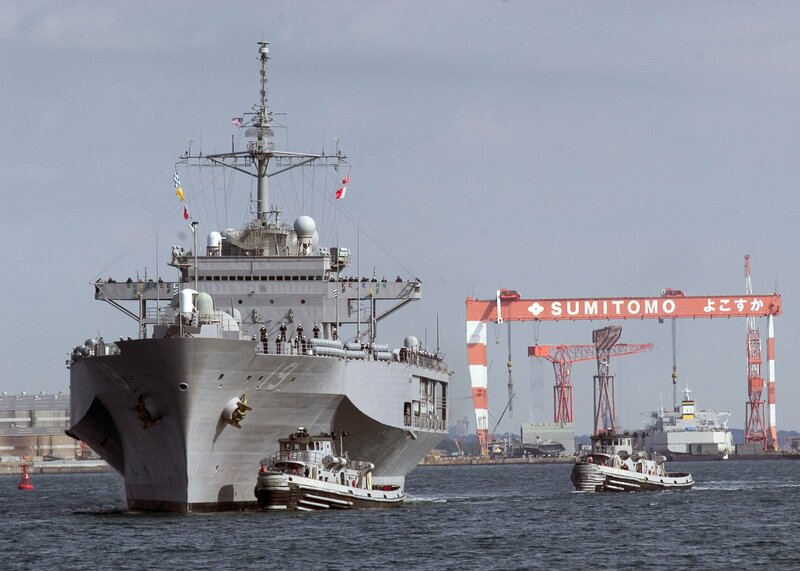 Cowpens is homeported at Yokosuka, Japan. 393k Manistee (YTB-782) assists the USS Tucson (SSN-770) as she arrives at Commander Fleet Activities Yokosuka, Japan (CFAY), 30 March 2006. 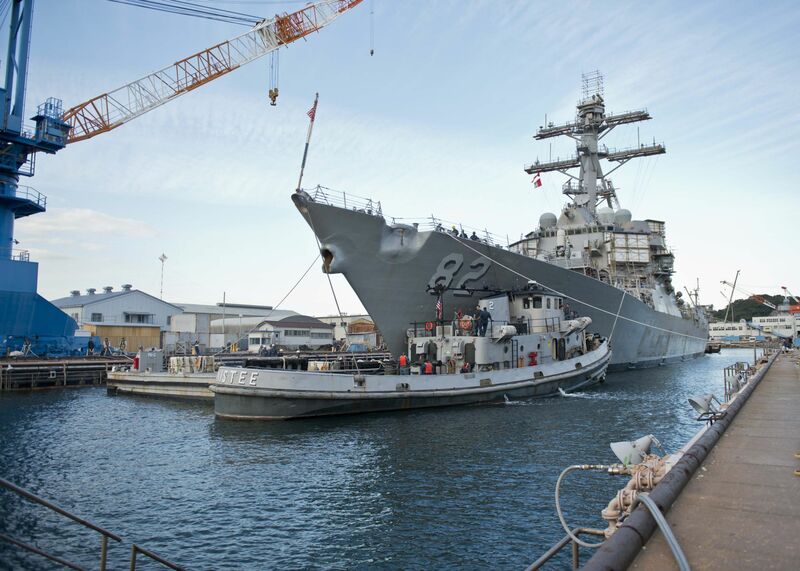 Tucson departed on a six-month Western Pacific deployment from its homeport of Pearl Harbor. 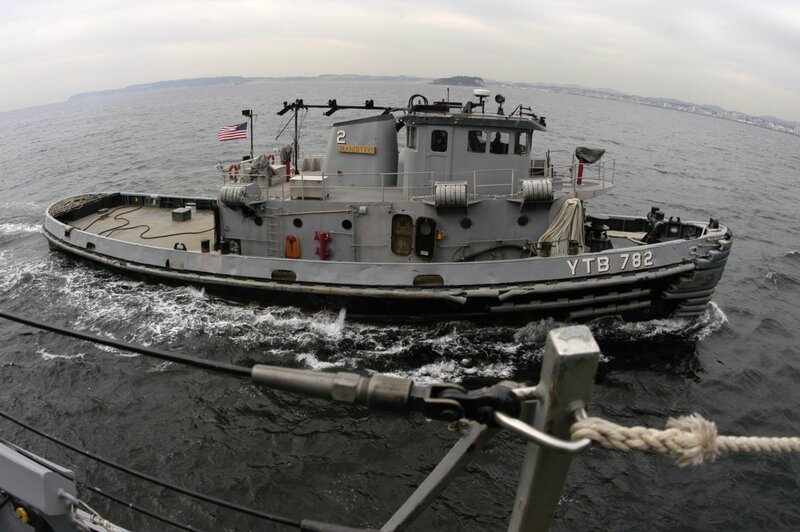 46k Manistee (YTB-782) approaches USS Fitzgerald (DDG-62) to secure tug lines at Commander Fleet Activities Yokosuka, Japan (CFAY), 19 April 2006, as the Guided Missile Destroyer prepares to depart for a scheduled underway period. 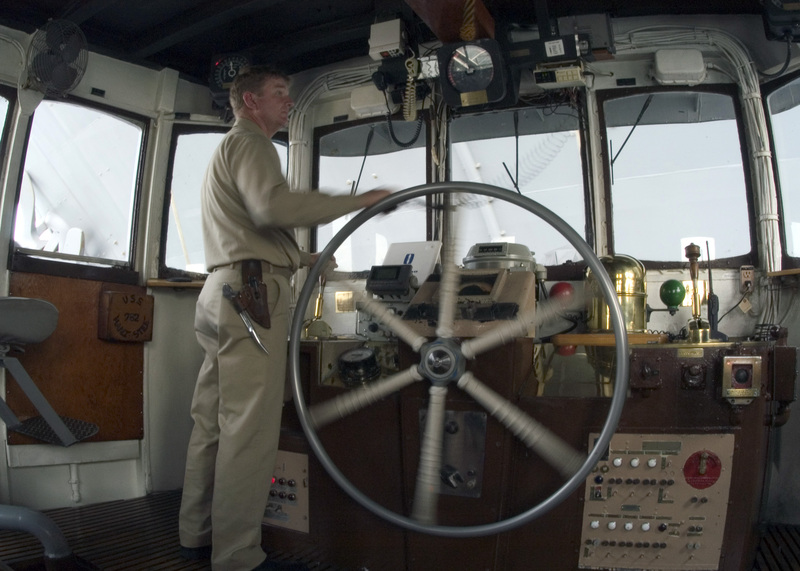 76k Chief Boatswain�s Mate Richard Copeland assigned to Port Operations, maneuvers Manistee (YTB 782) at the bow of USS Kitty Hawk (CV-63) while assisting the Aircraft Carrier into her berth at Commander Fleet Activities Yokosuka, Japan (CFAY), 25 May 2006. 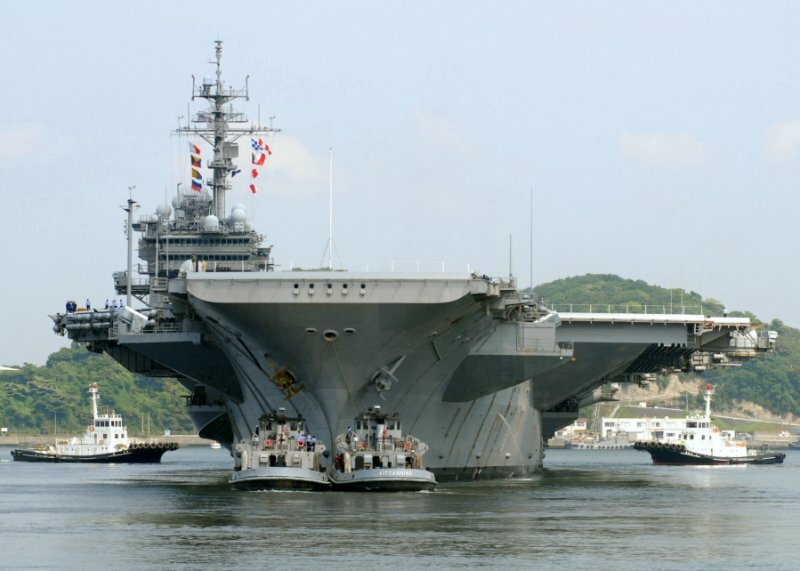 55k Manistee (YTB 782) at the bow of USS Kitty Hawk (CV-63) while assisting the Aircraft Carrier into her berth at Commander Fleet Activities Yokosuka, Japan (CFAY), 7 May 2007. 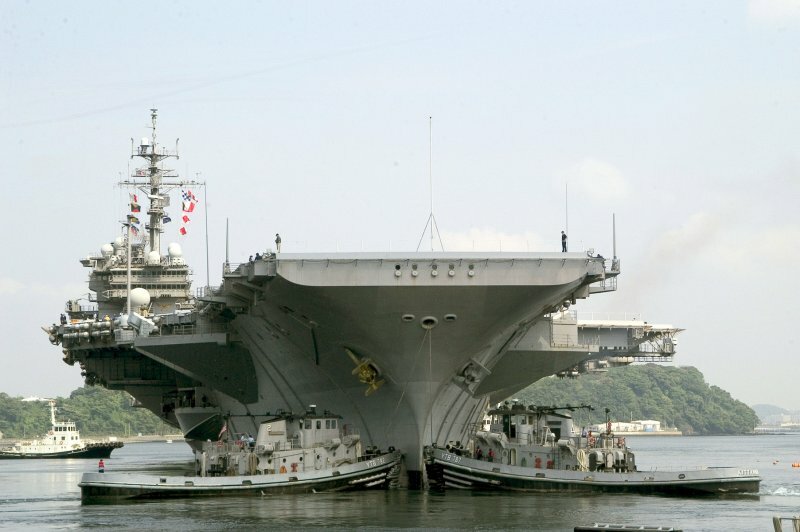 64k Manistee (YTB 782) and Kittanning (YTB-787) at the bow of USS Kitty Hawk (CV-63) at Commander Fleet Activities Yokosuka, Japan (CFAY) while assisting the carrier as she gets underway to conduct sea trials, 15 May 2007. 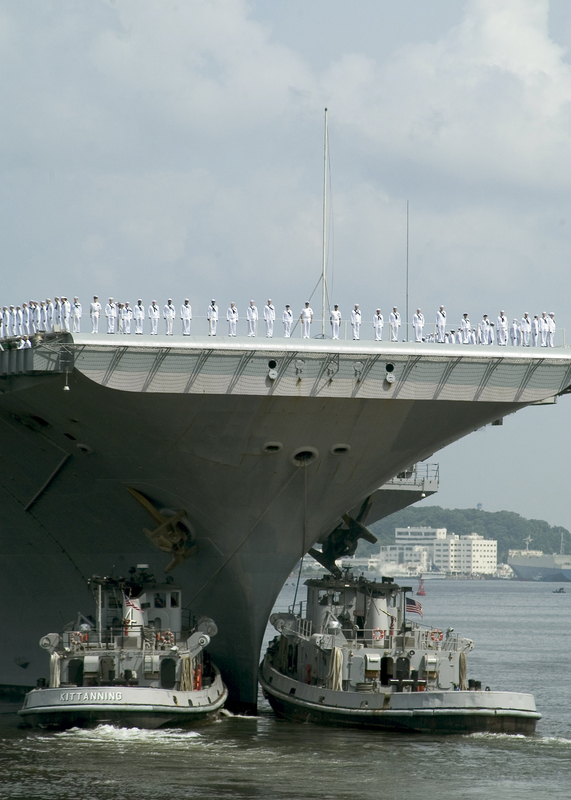 68k Manistee (YTB 782) and Kittanning (YTB-787) at the bow of USS Kitty Hawk (CV-63) at Commander Fleet Activities Yokosuka, Japan (CFAY) while assisting the carrier as she gets underway to conduct sea trials, 15 May 2007. 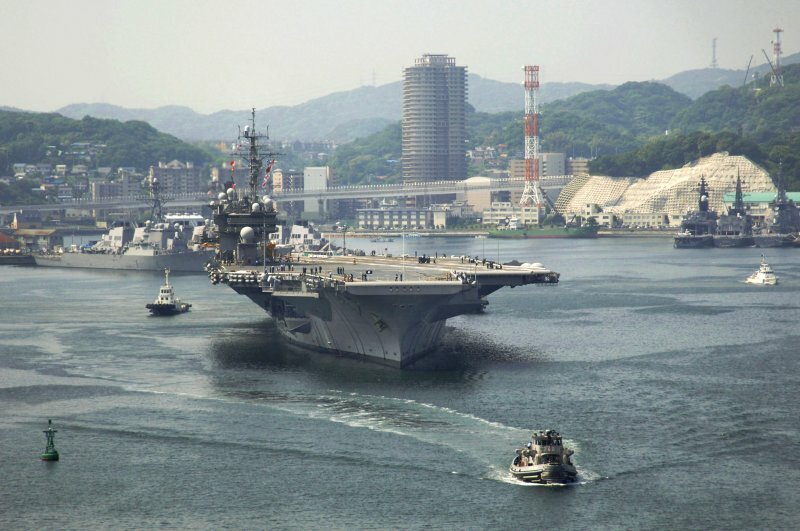 90k Manistee (YTB 782) moves away from USS Kitty Hawk (CV-63) at Commander Fleet Activities Yokosuka, Japan (CFAY) after assisting the carrier as she gets underway to conduct carrier qualification, 15 May 2007. 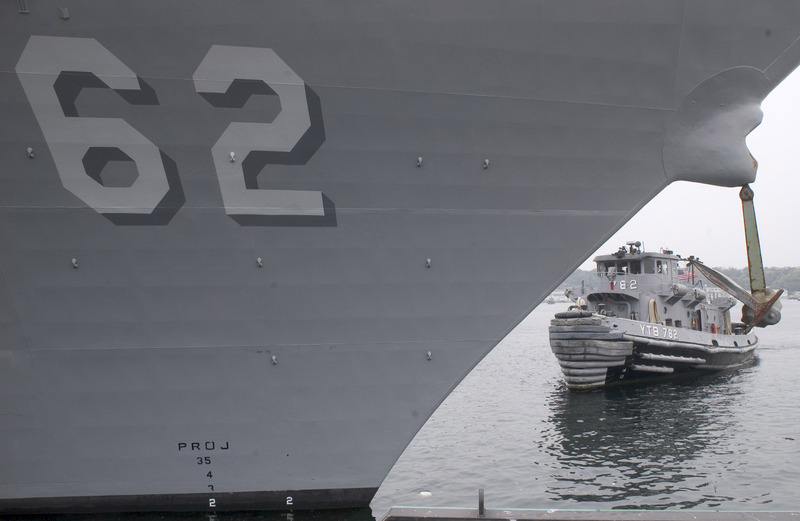 489k Manistee (YTB-782) and Kittanning (YTB-787) come alongside USS Blue Ridge (LCC-19) as she pulls into her forward-deployed operating base at, Fleet Activities Yokosuka, Japan (CFAY), after returning from a deployment supporting humanitarian missions and operations in the 7th Fleet area of responsibility. 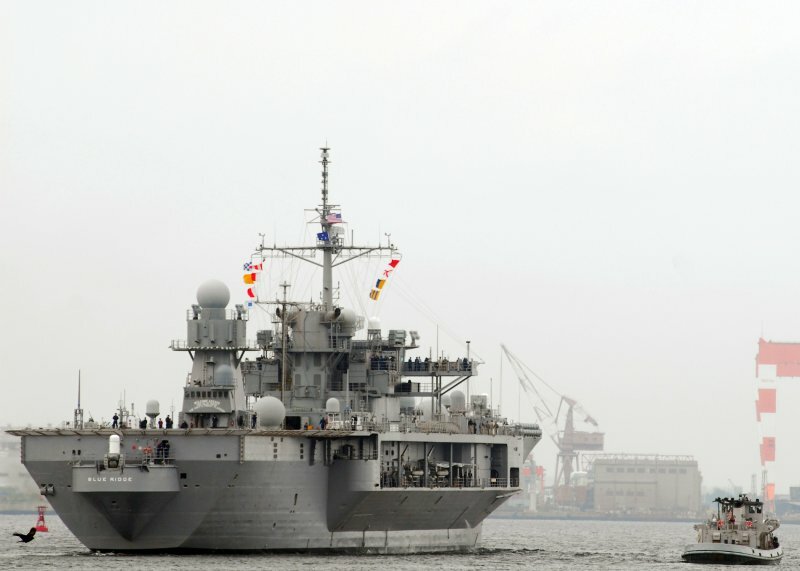 51k Manistee (YTB-782) assisting USS Blue Ridge (LCC-19) as she departs Fleet Activities Yokosuka, Japan (CFAY), 1 June 2007. 621k Manistee (YTB-782) and Kittanning (YTB-787) assist the Arleigh Burke-class guided-missile destroyer USS McCampbell (DDG-85) as she pulls into Fleet Activities Yokosuka, Japan (CFAY), 9 July 2007. McCampbell is the newest addition to forward-deployed forces at CFAY. 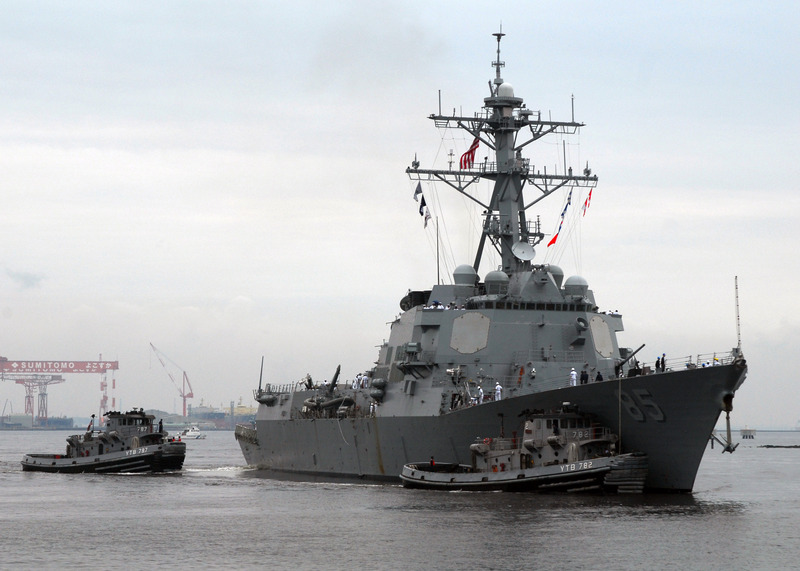 504k Manistee (YTB-782) assists the Arleigh Burke-class guided-missile destroyer USS Curtis Wilbur (DDG-54) as she pulls into the forward deployed operating base, Fleet Activities Yokosuka, Japan (CFAY), 10 July 2007. 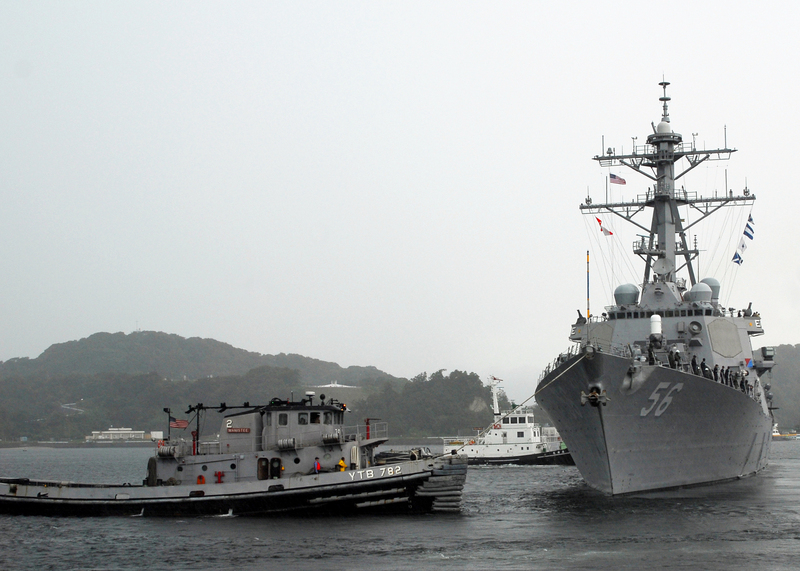 1466k Manistee (YTB-782) assists the Arleigh Burke-class guided-missile destroyer USS Curtis Wilbur (DDG-54) as she departs Fleet Activities Yokosuka, Japan (CFAY), 1 August 2007. 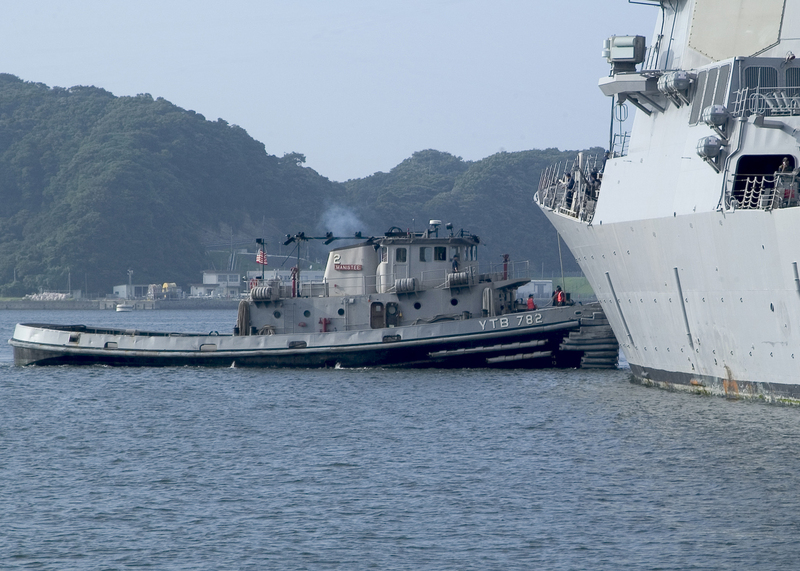 716k Manistee (YTB-782) and other harbor tugs assist the dock landing ship USS Tortuga (LSD-46) as the ship enters port at Fleet Activities Yokosuka, Japan (CFAY), 1 September 2007, with simulated Japanese evacuees as part of a Tokyo Metropolitan Government disaster relief drill. 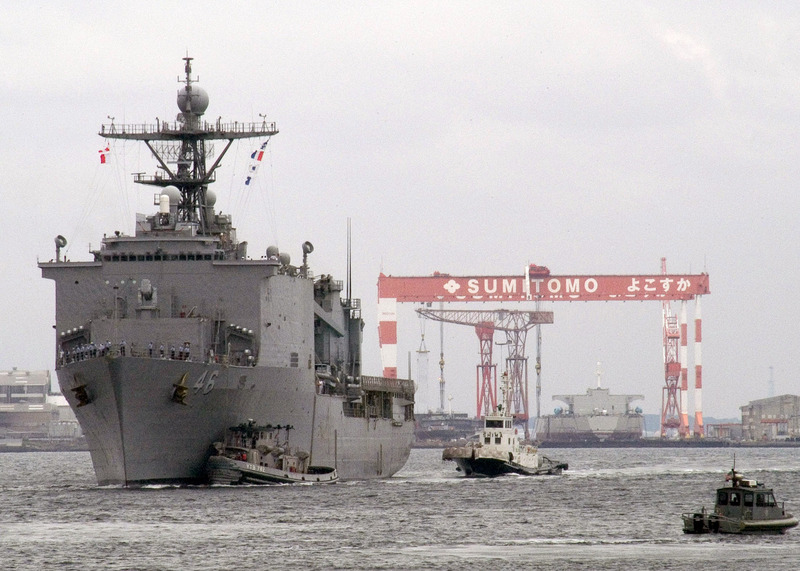 Tortuga assisted in the drill by evacuating simulated stranded citizens from Tokyo's Kasai Kaihin Park to the ship via landing craft air cushion LCACs. This is the second year that the U.S. Navy has participated in this type of drill. 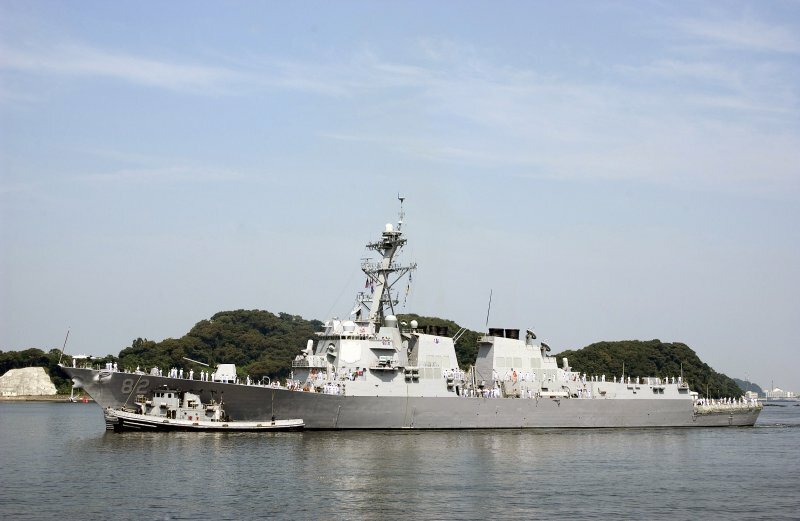 1786k Manistee (YTB-782) assists the Arleigh Burke-class guided-missile destroyer USS Fitzgerald (DDG-62) as she arrives at Fleet Activities Yokosuka, Japan (CFAY), 10 September 2007. 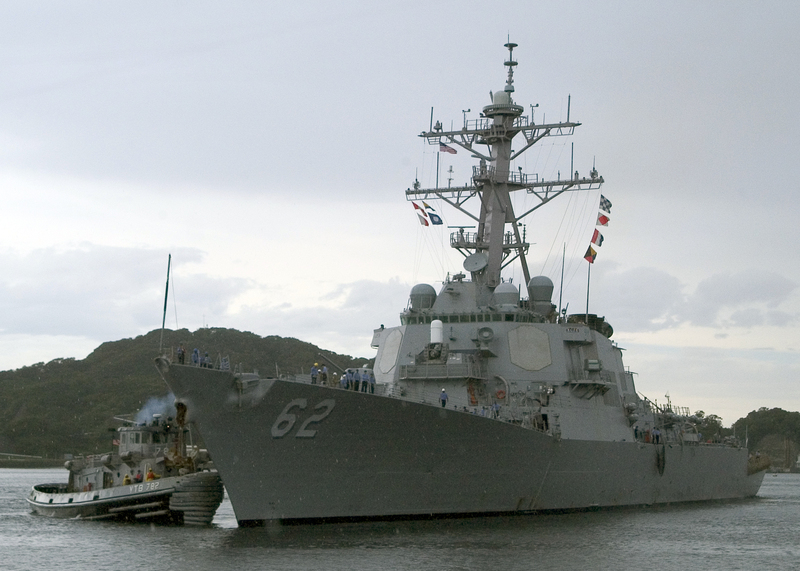 1785k Manistee (YTB-782) assists the Arleigh Burke-class guided-missile destroyer USS John S. McCain (DDG-56) away from the pier at Fleet Activities Yokosuka, Japan (CFAY), 10 September 2007. 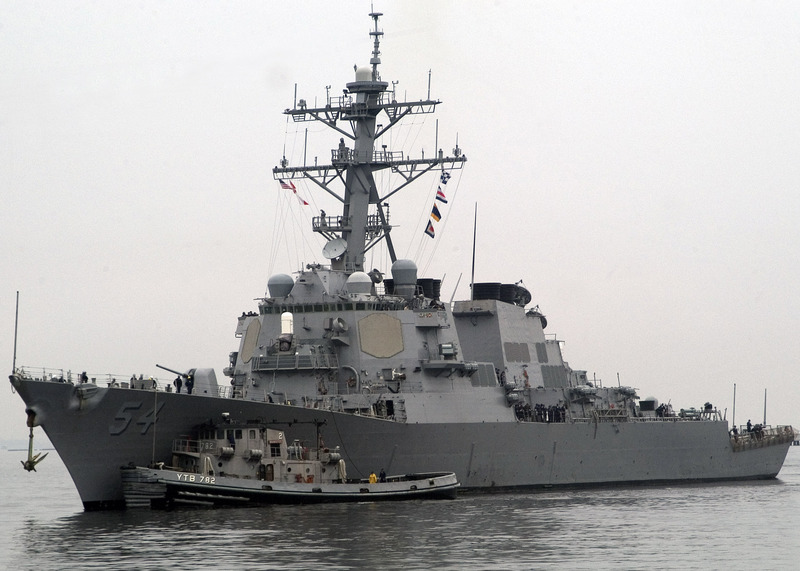 USS McCain is unit of Destroyer Squadron 15 (DESRON-15). 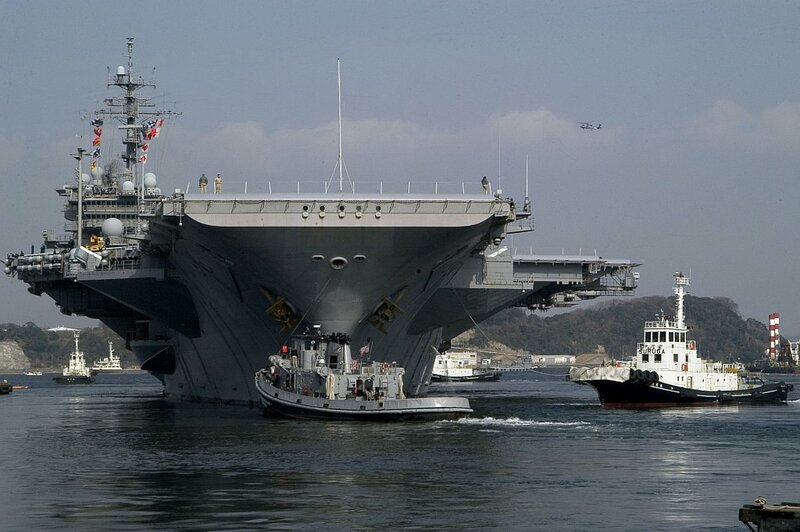 127k Manistee (YTB-782) and civilian tugs assist USS Kitty Hawk (CV-63) as she departs Fleet Activities Yokosuka, 18 March 2008, for a scheduled deployment. 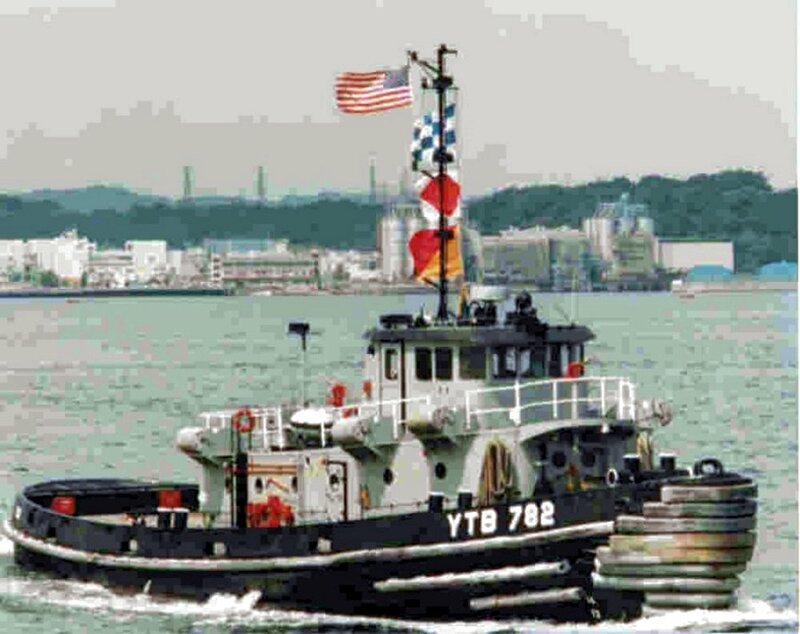 1668k Manistee (YTB 782) and Kittanning (YTB-787) assist USS Kitty Hawk (CV-63) as she departs Fleet Activities Yokosuka, Japan (CFAY) for the last time. 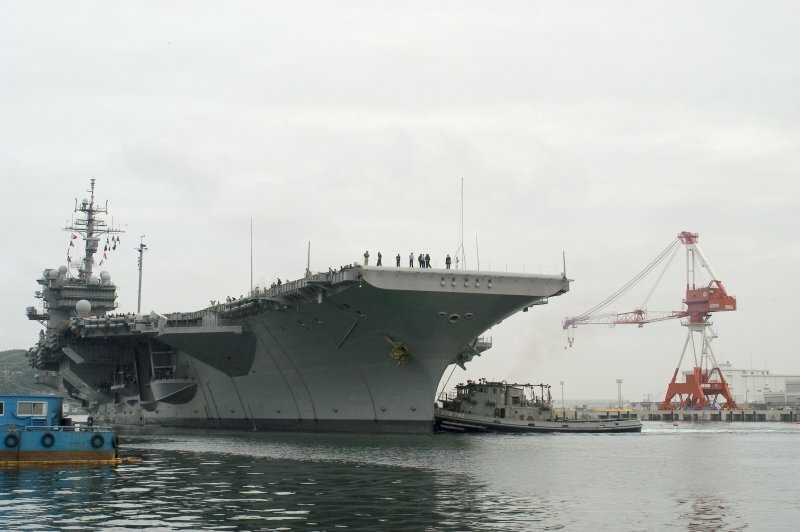 Kitty Hawk, the Navy's oldest active warship and only forward-deployed aircraft carrier, will soon be relieved by the Nimitz-class nuclear-powered aircraft carrier USS George Washington (CVN-73). 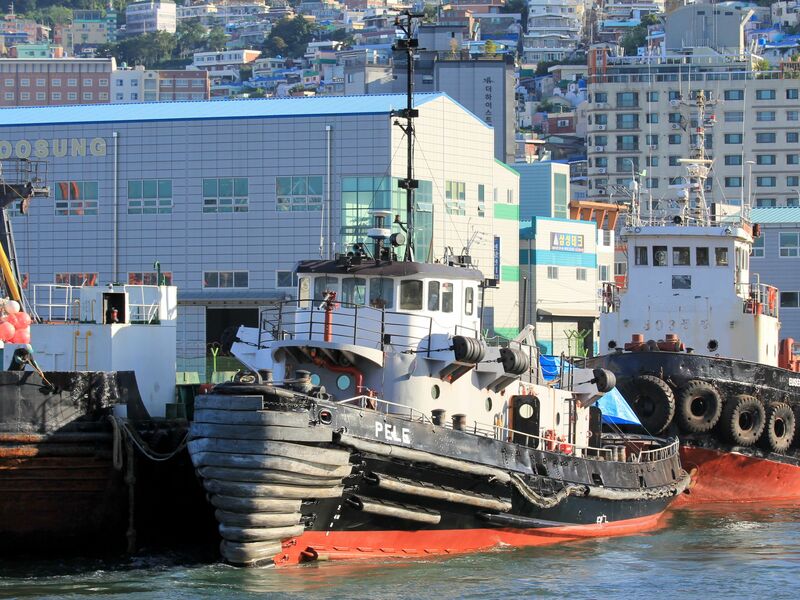 515k The commercial harbor tug Noshiro assist USS Blue Ridge (LCC-19) as she returns to her berth at Fleet Activities Yokosuka after a scheduled underway period. 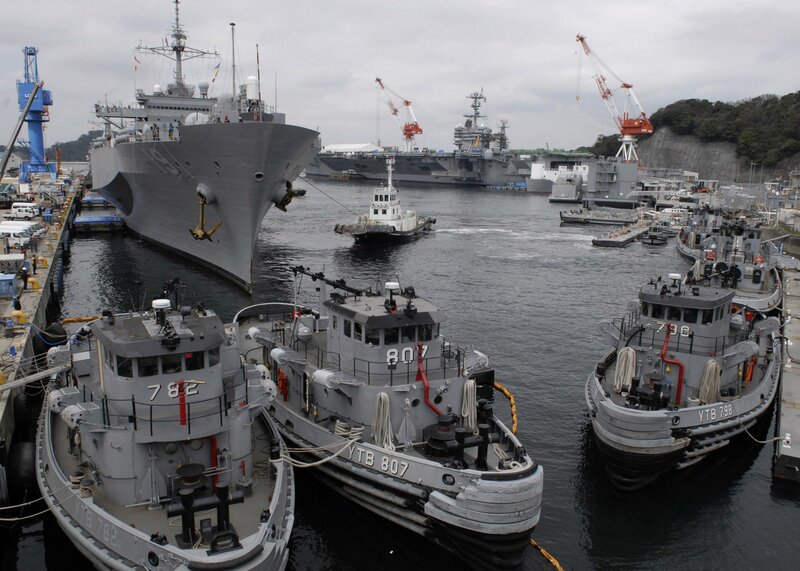 In the foreground are the tugs Manistee (YTB-782); Massapequa (YTB-807); and Opelika (YTB-798) and in the background is USS George Washington (CVN-73) along with various yard craft. 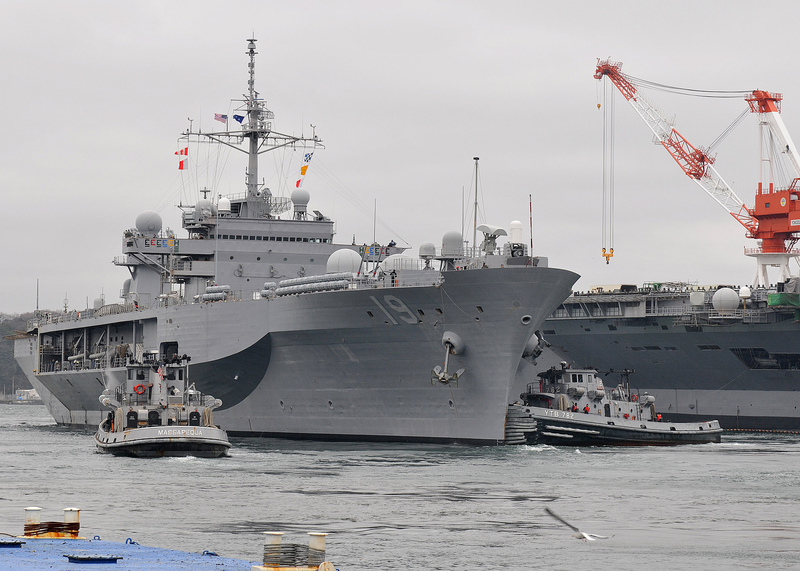 1133k Tugs Massapequa (YTB-807) and Manistee (YTB-782) assist USS Blue Ridge (LCC-19) as she departs Commander Fleet Activities Yokosuka for a spring underway period. Blue Ridge will participate in bilateral exercises "Key Resolve" and "Terminal Fury".